Back in #TVK19 from The Vegan Kind, there was a pack of plantain crisps by Chika's. 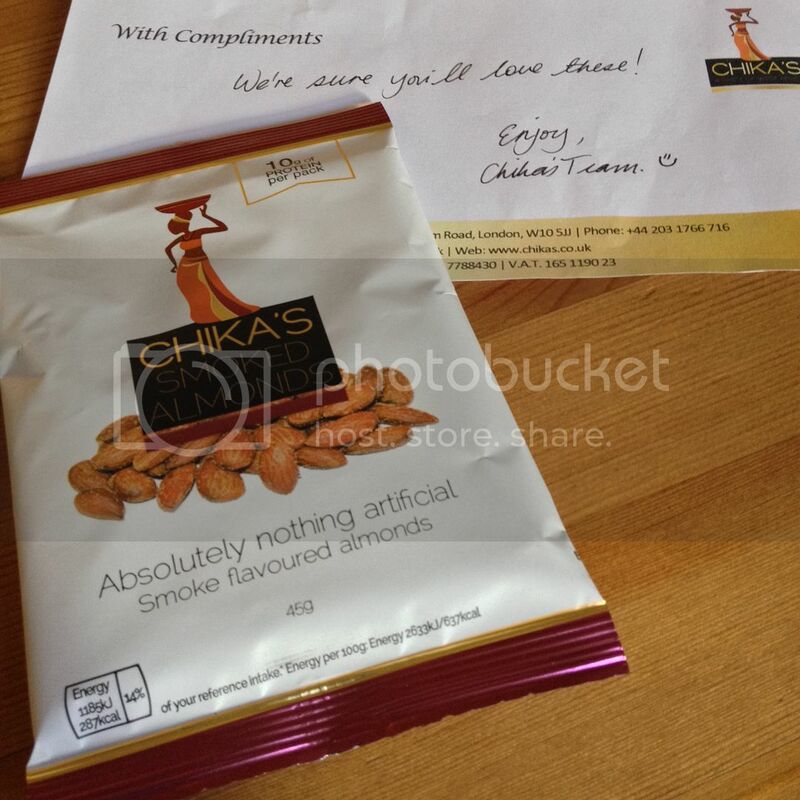 I didn't enjoy these - I think I couldn't get my head around the whole plantain chip thing - but it seems that the lovely people at Chika's read my blog and wanted to give me something I would like instead! How nice is that?! These were gorgeous! The smokey flavour was lovely - and I really enjoy almonds anyway! I'll definitely be buying these if I see them in a shop!